Harvested between July and Labor Day, the watermelon is the most consumed variety of melon in the United States, more popular than cantaloupe and honeydew. The watermelon fruit is about 90 percent water. More than 1,200 varieties of watermelon are grown worldwide. Watermelons vary in size from the 5-pound Sugar Baby to the 40-pound Jubilee. 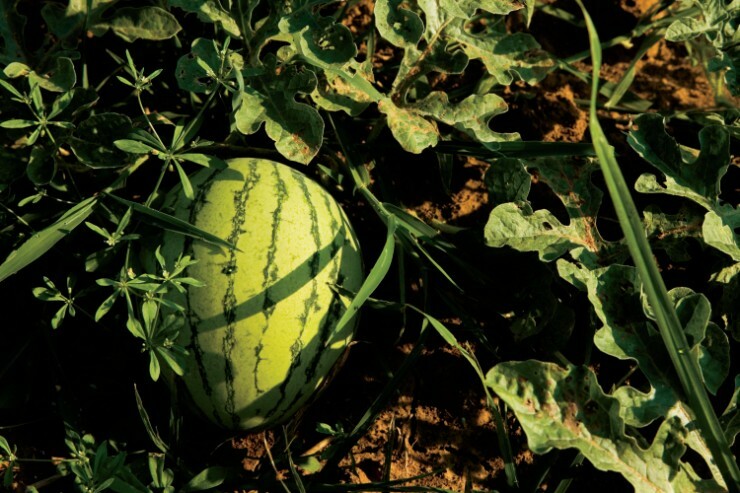 It takes a watermelon 80 to 95 days to become full-grown, and it is ready to harvest when the part of the rind touching the ground changes from white to pale yellow. Scientists believe the watermelon originated in tropical Africa. Packed with antioxidants and vitamins, the watermelon is high in Vitamin C, Vitamin A, Vitamins B6 and B1, as well as potassium, thiamine and magnesium. Watermelon gets its red color from lycopene. 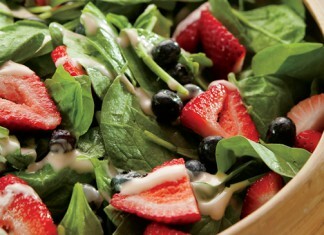 It’s the lycopene leader among fresh fruits and vegetables, including fresh tomatoes. Watermelon is naturally cholesterol free, gluten free, virtually fat free and low in sodium. Get your fill of this juicy melon.